Depending on when you’re reading this, I’m either anxiously waiting to run the Boston Marathon this morning, currently running the Boston Marathon, or have (hopefully) successfully finished the Boston Marathon. My first time to run Boston. Only my second marathon. After months of training through the Wisconsin cold, snow, and wind, after mile after mile logged, and after getting sidelined for various injuries multiple times, I can’t believe I’m finally here. The race of all races, the Olympics for runners. It’s an achievement I feel blessed to be able to experience. Words can’t describe the emotions I feel. The support I’ve received from Philip, from family, and from friends has been overwhelming and has encouraged me through this tough battle of getting here. 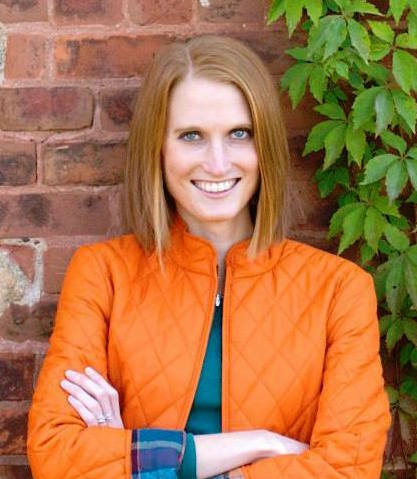 I qualified for Boston when I ran the Chicago Marathon in October of 2014 – my first marathon. I felt great through all 26.2 miles. I was on an adrenaline high the entire time, flying through each mile. My goal was to qualify for Boston on this race and as I got closer and closer to the finish line, I couldn’t help but smile, knowing that my dream was actually within reach. I crossed the finish line with a time that would qualify me for Boston by over 11 minutes for my age range. Ever since that day, I’ve been looking ahead to this very day — April 18, 2016. My plan was to run another marathon or two last summer in order to get some more marathons under my belt. 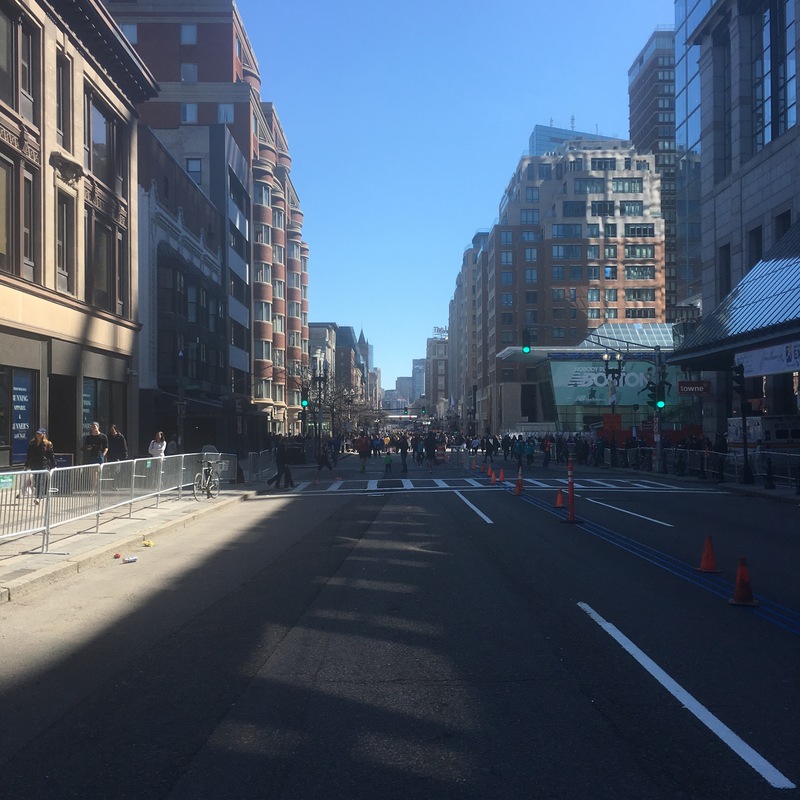 Running Boston as my second only marathon seemed a little too ambitious. I mean, people work towards this goal their entire running career in order to run Boston! Plus, those Boston hills! I felt like I needed to work at it a little a bit more to really achieve a place in the Boston Marathon. But, at the start of the racing season last summer, tendonitis in my knee stopped me from being able to do what I have a passion for and took away any possibility of being able to do the marathon I had signed up for in October of last year. Registration day for my age range for the Boston Marathon was September 16. It was either sign up and hope I would recover within seven months time to do the Boston Marathon or not sign up and start over again. My qualifying time at the Chicago Marathon would only last for a year — with the September registration day, I was just barely making the cut as it was. With encouragement from my husband and family, I decided to at least register and see if I was able to get in. Even though I qualified, it still depended on how many people registered and whether my time was fast enough. 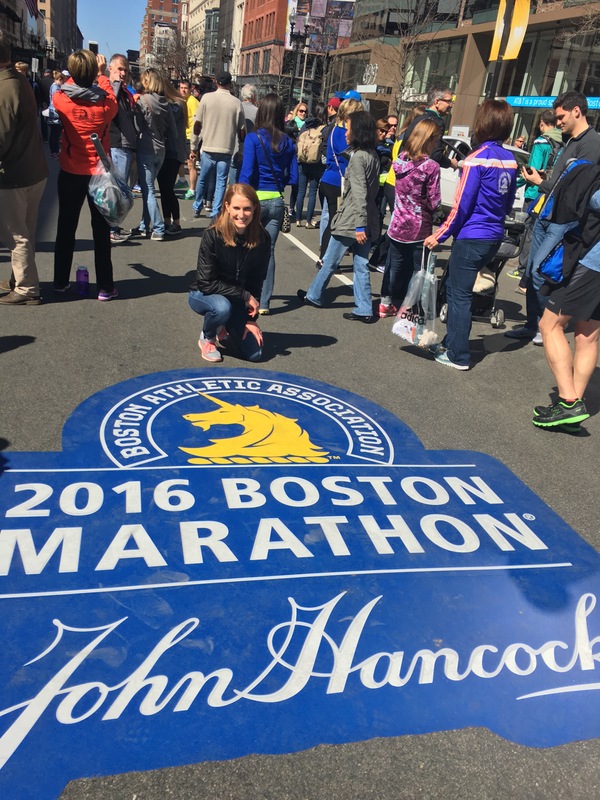 I found out two days later I was accepted into the 120th Annual Boston Marathon. While I wanted to be completely over the moon excited, my heart couldn’t be all in it. I was still going to physical therapy every week and was stuck in the swimming pool for training. Weeks went by, gains and setbacks occurred, and gradually I was able to run a mile, then 5 miles, and by January — over 6 months of being injured — I was hopeful that my knee was on the mend and I may actually be able to accomplish my dream of running Boston. With a late start to my training on top of still gradually increasing my mileage and strength to where it once was, I encountered more minor injuries, keeping me from training at the level I would normally want and keeping the worry and apprehensive thoughts at the forefront of my mind throughout much of my training. As the weeks got closer and closer, it became more and more real. My excitement level grew. My dream was forming into reality. It didn’t seem so far off or cloudy anymore. From the highs and joys of just being able to run again and completing long run after long run to the lows of having one injury or sickness after the next and never really feeling prepared for this race, I’m so happy that I’m here, ready or not, to witness the excitement and the atmosphere of this legendary race. It’s been a journey and a battle all in one. One that will only make me appreciate this experience that much more. Today I’m putting aside my worries, my apprehensiveness, and the feelings of being unprepared. Because today I’m at the starting line of the Boston Marathon. I’ve made it. It may only be my second marathon, but it hasn’t been an easy road. Today I’m honored to be running with the best of the best at a race that’s so much more than just a road race. Through perseverance, determination, sweat, blood (no really, I have blood stains on my shoes to prove it), and tears, I’m going to run this race proudly and humbly. I’m running boldly. 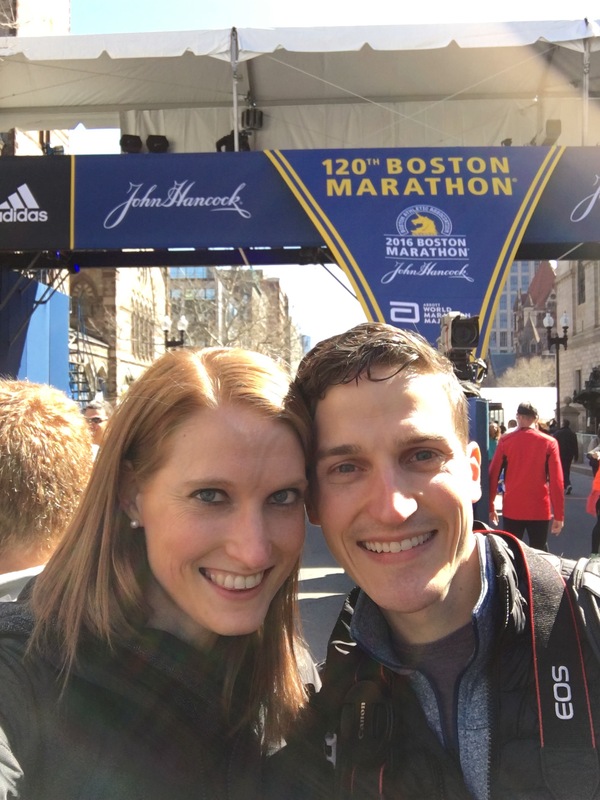 This is my story of how I made it to the Boston Marathon. Every mile and step of it was worth it. I love this!!! Congrats! So proud of you!